We will learn in this chapter in which way a system should be designed and executed through to get the best performance of system even in emergency. A) Chemicals present a very substantial hazard due to fires and explosions. C) Fuels, oxidisers, ignition source in chemical industry. Liquids : Gasolene, Acetone, Ether, Pentane etc. Gases : Acetylene, Propane, Hydrogen. Liquids : HNO3/H2O2/ Some acids. Sparks, Flame, Static Electricity, Heat. It is a chemical reaction in which a substance combines with an oxidant and releases energy, part of the energy releases is used to sub stain the reaction. It is the lowest temperature at which it gives off enough vapour to form an ignitable mixture with air. The flash point generally increases with increase in pressure. It is a rapid expansion of gases resulting in a rapidly moving pressure or shock wave. The expansion can be mechanical in sudden exposure of a pressure vessel or it can be a result of a rapid chemical reaction. 1) Inerting- process of adding inert gas to a combustible mixture to reduce the concentration of oxygen below the limit- n2 gas is generally used. 4) Explosion proof electrical equipments. 5) Ventilation open air plant. Compliance of the tariff advisory committee rules or OISED i.e. that is Oil Industry Safety Directorate (established in 1986) . Rules will not only obtain appropriate discount is the fire insurance premium but will also instill that feeling of security in the minds of staff. Direct loss from fire and the resultant wastage is always serious but indirect loss of business is much more serious. 3) A well designed and laid hydrant system. A) Hand appliances buckets and extinguishers. B) List of approves manufactures. C) These are essentially “first-aid” equipments only meant for attacking small fires in their initial stages and are not intended to deal with large outbreaks of fires. D) It is recommended that extinguishers installed in any one building or single occupancy be similar in shape and appearance as far as possible. 3) Types of fires which may occur. 1) It shall be stores in underground lines reservoir or above ground steel, concrete or masonry. 2) Effective capacity above the level of the foot valve seat in case of negative suction. 3) Reservoirs of above 2,25000 lit capacity as calculated for 2 hrs/3hrs/4hrs aggregate pumping capacity shall be in the compartments to facilitate cleaning and repairs. 1) Pumps shall be exclusively used for fire-fighting purpose. 2) Pumps shall be direct couples belt driven pumps are not accepted. 3) Part of pumps like impeller, shaft sleeve, wearing rings shall be of noncorrosive metal preferably of brass or bronze. 4) Pump capacity would depend on whether tapping for water spray or foam protection for tanks is taken from the hydrant service. Where storage tanks containing flammable liquids are protected by MVWS medium vel. Water spray system tapped from hose hydrant system, the water requirement of the spray system shall be calculated for tanks located in common dyke which have the rate of10 lit/min/sq.mt. Of the tank shell surface area. If total of MVWS = hose stream > hydrant this pumping capacity cover’s. Water requirements shall be considered for the largest protected tank at the rate of 5 lit/min sq. mt. of liquid surface area. Where sphere/bullets containing LPG are protected by MVWS the water requirement shall be calculated for upto 3 spheres/bullets having largest aggregate surface area located within r +15 of each other at the rate of 10 lit/min/ Sq. Mit. Jockey pump: High hazards (b) capacity to be 180 LPM pumps shall be capable of furnishing not less than 150%of rated capacity @ head not less than 65% of the rated head. High hazard (b) pump shall be 30 mt. Clear of all equipments containing hydrocarbons. 1) Is 1239 up to 6" ERW is 3589 for 8" and above size ERW. 4) 6mt. Away from face of building and open storage area for light and ordinary hazards and 15m in case of high hazards. 5) Mains shall be in rings. 6) The mains shall not traverse ground that is under the control of the owner. 7) The velocity at any point should not exceed 3 mt/ sec. 8) Gate valves confirming to is 780 p.n.1.6 and is 2906 pn 1.6 will be used. 9) The hole system may be stress analyzed. 1) Connection for any purpose other than fire fighting are not permitted from hydrants. 2) All hydrants outlets shall be 1 m above ground level. 3) Stand post shall be 80 mm for single headed and 100 mm for double headed. Light hazards – 60 mt. High hazards – 30 mt. 6) Hydrants/monitors shall not be installed with in dyked enclosures not can the main line pass through it. For the fire fighting system, there are certain guidelines fixed by the statutory body. 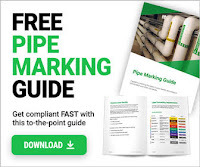 These guidelines are to be followed and the piping engineer has to identify the ‘Hazardous Areas’ and take corrective action. This is again a network to be laid along with the rest of the piping of the plant and care has to be taken during the preparation of the plant layout. Head and quantity balancing is again important for the fire fighting system. Requesting you to provide the designing of sprinkler heads and piping sizing for different areas with necessary standard information. I want to know the diameter of main pipe line of hydrant system having 20 hydrant posts.